Why Should China Embrace 'Universal Values'? An argument for “universal values” with Chinese characteristics. It is hard to avoid hearing about Western “democracy” and “universal values” such as freedom, equality, and justice these days, as the West and especially the United States tend to use these concepts as “weapons” for intended regime or social changes in different regions. The Chinese have been rather vigilant toward such “peaceful evolution” by the West for years, although economic cooperation has mitigated and more or less concealed such ideological confrontations. The differences still exist, and may have become magnified in some aspects. The enduring split between pan-democratic groups and the pro-Beijing majority in Hong Kong exactly demonstrates how deeply different political views and distrusts may tear a society apart. The question remains: Does China need “democracy”? And it is necessary or even possible to integrate “universal values” with different historical and cultural origins? The practice of democracy implies that there is a universally perfect or ideal state for all human societies, which incorporates fundamentally important values like freedom, equality, and justice. These values are particularly respected and advocated for in the West, but they are also taught in different regions throughout the world, particularly during different waves of democratization. However since the third wave of democratization, Western democracy has faced a far-ranging decay, not only among the newly emerged democracies in the third world but also in the United States itself. Robert W. Merry wrote about “The Slow Death of American Democracy” in 2013, and Julian Zelizer also raised his similar concern in his 2014 piece for CNN, “Is American Democracy Dead?” This does not necessarily mean the total failure of Western democracy and subsequently the fall of its fundamental values. Rather, it indicates that Western democracy — particularly when adopted in a forced way and or found to be malfunctioning — may not be a panacea to solve all problems in all types of human societies. By contrast, oriental and particularly Chinese history and traditions emphasize reverence to authority, social harmony, and political stability, values that the West may criticize or even despise for their “non-democratic” nature. This is understandable, given the different histories of civilizational and social developments, but it is also inappropriate. Why should these two groups of values be segregated and set into two distinctly contradicting fronts? Is it possible for an ideal state to incorporate both freedom-equality-justice and authority-harmony-stability? Maybe they are not necessarily contradictory by nature. Then it is in this regard that the Chinese should truly embrace the prevailing “universal values” and find a way to incorporate them in Beijing’s careful and ambitious national developmental design. But embracing universal values in this context does not necessarily mean copying the practice of Western democracy, forcing it to “fit” China’s history and culture. In fact, China has named 12 socialist core values: prosperity, democracy, civility, harmony, freedom, equality, justice, the rule of law, patriotism, dedication, integrity, and friendship. 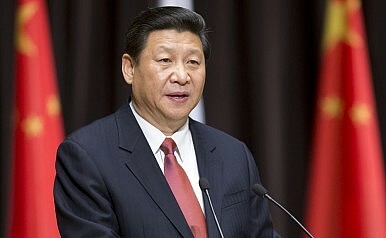 It surely will not be easy for Xi and possibly his successors to truly consolidate all of these values — particularly “democracy,” “freedom,” “equality,” “justice,” and “the rule of law” — in China’s evolving political culture and Chinese society. But the attempt does indicate that these very “Western” values actually can be, and should be, respected by the Chinese in their attempt to co-exist with the West. An interview with David Shambaugh on the possible paths China can take.